GENEVA, 11 November 2014 (VIETNAM COMMITTEE) – In a new joint report released at the United Nations in Geneva today, the Vietnam Committee on Human Rights and the FIDH document serious violations of economic, social and cultural rights in Vietnam. The 36-page report, entitled “Violations of Economic, Social and Cultural Rights in Vietnam”, (also available in Vietnamese) was released at the 53rd Session of the UN Committee on Economic, Social and Cultural Rights (CESCR) which is meeting in Geneva (10-28 November 2014) to examine the implementation of the UN International Covenant on Economic, Social and Cultural Rights (ICESCR). The FIDH-VCHR prepared the Shadow Report to provide the UN experts with evidence and analysis on the grave ongoing violations of economic, social and cultural rights in Vietnam. The Vietnamese government presented its report on Monday 10 November 2014, with a delegation of 19 officials led by Vice-Minister for Planning and Investment Nguyen Chi Dung. 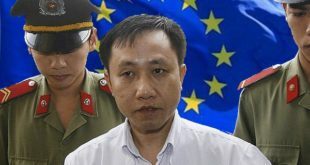 The 18-member Committee of experts first heard statements from VCHR President Vo Van Ai, Vice-President Penelope Faulkner and other civil society representatives before questioning the Vietnamese delegation. The session concluded on Tuesday afternoon. The CESCR will present its conclusions and recommendations on 1st December 2014. 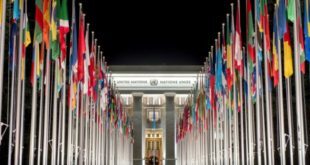 Although Vietnam acceded to the ICESCR in 1982 and has a binding obligation to submit regular reports to the Committee, it has not reported to the CESCR since 1993. 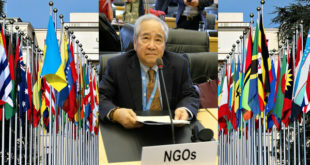 “The ICESCR is one of the pillars of international human rights protection”, said Vo Van Ai, President of the Vietnam Committee on Human Rights. “Vietnam’s 21-year delay in submitting the report and the empty rhetoric of its submission show its lack of concern for the people’s’ economic, social and cultural rights. Victims of abuses – especially vulnerable populations such as women, children, ethnic minorities and the rural and urban poor – have no mechanisms to protect their rights and no means to redress them. 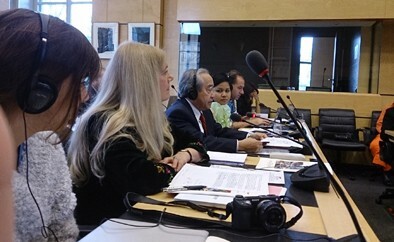 Human rights defenders who denounce rights abuses are harassed and detained”, he told the CESCR. The FIDH and the VCHR report reveals alarming wealth disparity and social inequalities in Vietnam. Since Vietnam opened to a free market economy under the policy of “doi moi” (renovation) in the late 1980s, the country has undergone rapid growth and economic transformation. However, economic liberalization under one-Party political control has led to growing inequalities between the ruling elite and the rest of population. Whereas Vietnam ranks high in the world in the increase of “super rich” people (people with assets of over US$30 million), one in every five Vietnamese lives under the poverty line, and 8% live in extreme poverty. Millions of others live just above the poverty threshold and remain vulnerable to falling back into poverty at the slightest shock. Social inequalities are not only due to the rising income gap, but also discrimination on the grounds of political opinions, religious affiliations or ethnicity. The report cited field-research by the World Bank which showed that people who do not have good connections with the Vietnamese Communist Party receive unequal treatment in health care, education, employment and access to land. Forced evictions and State confiscation of land for development purposes, exacerbated by endemic official corruption and power abuse have left hundreds of thousands of farmers homeless, and sparked off violent clashes in Van Giang, Vu Ban, Con Dau, Duong Noi and elsewhere. In the workplace, sweatshop working conditions and low pay have led to a rising number of strikes, yet the official Vietnam Confederation of Labour takes no action to defend worker rights. Child labour is widespread. The report cites a 2013 Circular which legalizes “light work” for children from 13 to 15 years old. Citizens who denounce abuses risk harassments, intimidation and imprisonment. The FIDH and VCHR state that scores of bloggers, land rights and worker rights activists, human rights defenders and members of religious minorities are currently detained for their advocacy of economic, social and cultural rights. In one trial in January 2013 alone, 22 peaceful environmental activists were charged with “subversion” and sentenced to terms ranging from 10 years to life imprisonment. 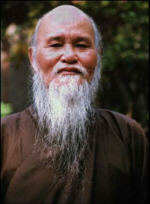 Seven ethnic H’mong in Tuyen Quang were imprisoned in March 2014 simply for practicing their faith. 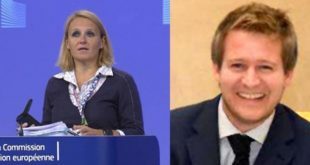 Most of these activists are charged under vaguely-worded articles in the Criminal Code such as “abusing democratic freedoms,” or “spreading anti-State propaganda” which are totally inconsistent with the ICESCR. Presenting the joint FIDH-VCHR report to the CESCR, Mr. Vo Van Ai denounced Vietnam’s use of the law as a tool to suppress human rights and maintain political control. He listed legislation such as the Law on Trade Unions, the Publications Law, the Cinematography Law, the Cultural Heritage Law, Decree 97 on Scientific Research, Internet Decree 72, Religious Decree 92 and numerous regulations limiting cultural, spiritual and religious practices. “Vietnam’s periodic report cites a host of regulations and laws but gives no information on their content or application. Thirty two years after Vietnam’s accession to the ICESCR, its citizens are still deprived of their fundamental human rights”, he said. He also denounced pervasive State censorship in Vietnam. A recent publication in Vietnamese of Thomas Bass’s book “The Spy who loved us” (on former Time correspondent and Hanoi spy Pham Xuan An) was censored in 444 places, despite contractual agreement with the author. Censorship of the Internet has forced many Vietnamese websites and blogs to operate outside the country. Mr. Ai highlighted the report’s finding on the teaching of history in Vietnam. The only history book in use in schools is published by the state. Not only does it distort history in many instances, but the style is close to political propaganda and potentially incites children to hatred. Many academics in Vietnam have also denounced this “politicization” of history teaching and called for the use of alternative teaching materials. In conclusion, the FIDH and VCHR made 37 recommendations for progress in Vietnam, including trade, business and human rights; trade union rights, the right to health and education; non-discrimination; land rights; freedom of expression and cultural rights; independence of the judiciary and ratification of human rights instruments.